Keep Oppo oppo'd with more vintage racing cars. 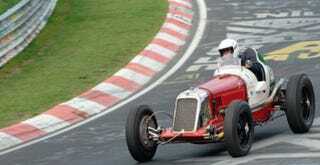 Like this Maserati 6C(?) flying Hungarian national colours (actually raced in Grands Prix in the 30s all around Europe, part of my next film project).